Alders is one of the twenty six home tracts in the Woodbridge Community in the City of Irvine. It comprised of 248 attached condominiums built by Irvine Pacific Homes in the early 1980's. Alders is located off of Culver Drive and Alton Parkway and offers homes with six floor plans featuring 2-3 bedrooms ranging from 1,060 to 1,267 square feet. Typical home prices will range from $475,000 - $550,000 making it one of the most affordable communities in Woodbridge. The current list of available properties are listed here. 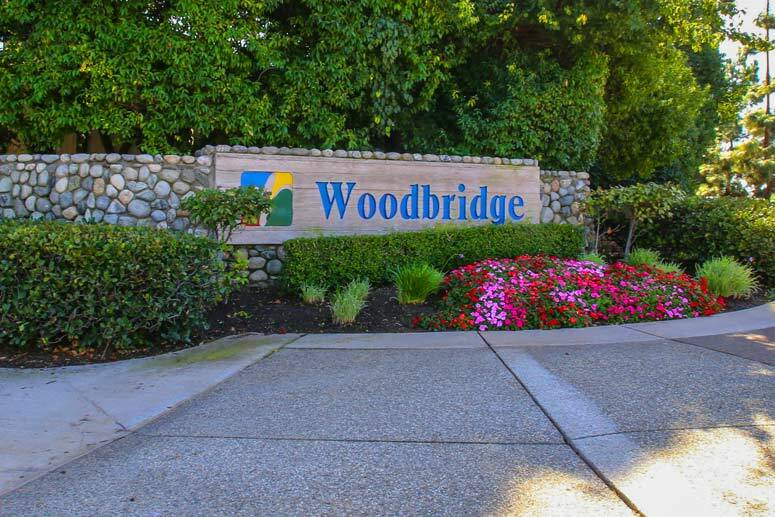 Woodbridge Alders community has many amenities that include tennis courts, green parks, association pools and spas. Residences can enjoy the use of both north and south Lagoons and club houses. The Master Homeowner's Association is Woodbridge Village Master Association who is managed by Woodbridge Village Master Association located at 31 Creek Road Irvine California. Their contact number is 949-786-1800. Approximate Homeowners association dues are $84.00 per month. The sub-association is Alders Community Association managed by Total Property Management Company located at 2301 Dupont Dr. Irvine California 92618. Their contact information is 949-261-8282. Homeowners association dues are approximately $332.00 per month. All Schools are located in the award wining Irvine Unified School District and include Meadow Park Elementary School, South Lake Middle School and Woodbridge High School.